WhatsApp now houses several useful features that were not available some time ago. Every few weeks we see a new feature in WhatsApp which improves its usability and functionality. Recently we have seen the WhatsApp video calling feature in the android and the Windows beta apps. Now who wants to install other video calling apps like Skype or Google Duo if one app is performing all the required tasks like text chat, voice and video calling. WhatsApp beta v2.16.349 is now coming with an additional layer of security known as Two-step verification. Two-step verification has been a part of Google account security since a long time now. It can also be applied to Microsoft accounts, Yahoo mail and now you can secure your WhatsApp account with two-step verification. Currently it is only available for android and Windows phones but WhatsApp two factor authentication ios will be released soon. 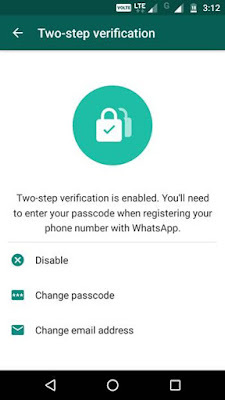 But before securing your WhatsApp account with two-step verification you should be aware of its working, how will it affect your account, how to disable it and how you can re-verify your WhatsApp account after enabling this security feature. 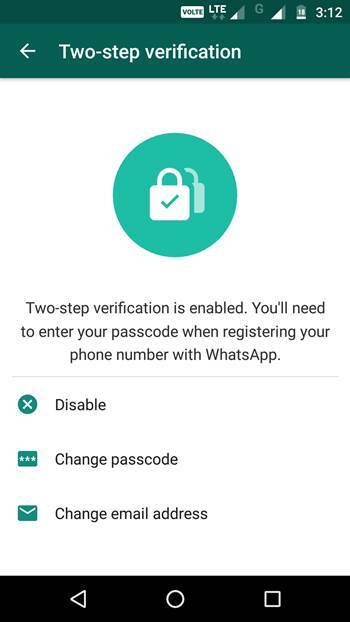 When the two-step verification is enabled on your WhatsApp account then you will need to enter a 6-digit code while re-verifying your mobile phone number on a newer phone. This 6-digit code is asked by WhatsApp during the two-step verification setup process and you should remember it. This protects your account from unauthorized verification. No body can use WhatsApp with your mobile phone number even they receive the verification SMS or call. Because they need to provide the 6-digit security code during re-verification process. In case if you forget the 6-digit security code then during the WhatsApp setup you will need to enter your cell phone number to verify. You will receive a SMS for verification. But in the next step you will need to enter the 6-digit passcode. But if you don't know the passcode then you can tap the option "Forgot passcode". WhatsApp will then send a link on your registered email address. 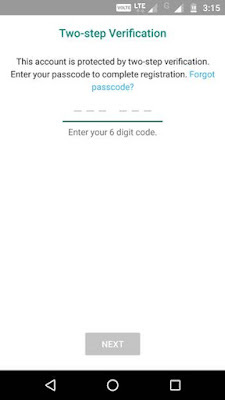 Clicking on this link will take you to the WhatsApp mobile website and it will ask you to confirm before removeing the two-step verification and you will not be asked to enter the 6-digit passcode. 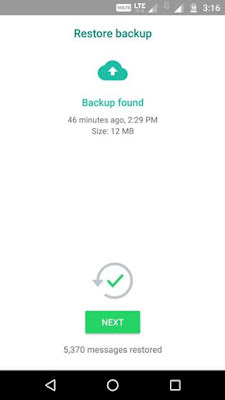 The setup process will proceed and in the next step you can restore your messages from local or Google Drive backup. 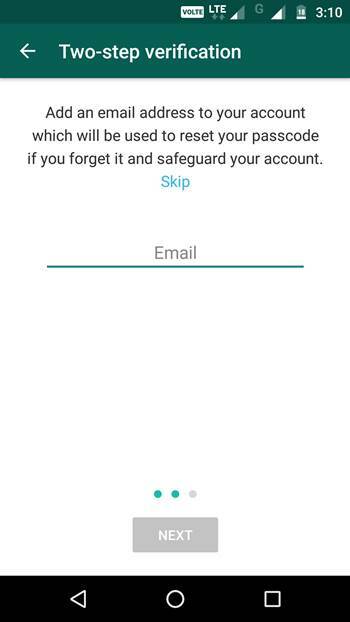 If you didn't provide the email address during the setup of this security feature and also forgot your passcode then in this case you can't install, re-install or migrate WhatsApp on any other or the same phone for the next 7 days. 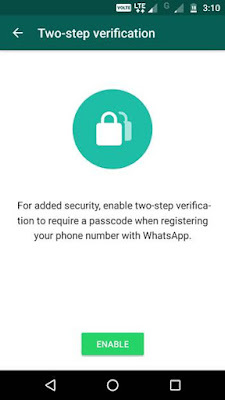 After 7 days WhatsApp will automatically remove the two-step verification from your account and you can again take charge of your account without needing to enter that passcode. 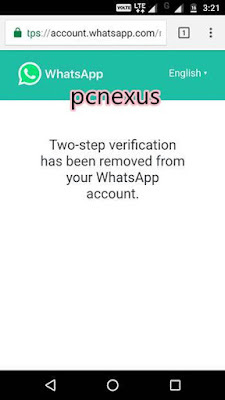 If your number is reverified on WhatsApp after 30 days of last using the app, and without your passcode, your account will be deleted and a new one will be created upon successfully reverifying. Also note that during this 7 and 30 day period all your pending messages will be deleted on reverification. So, if you are going to use this security feature then don't forget to add your email address. 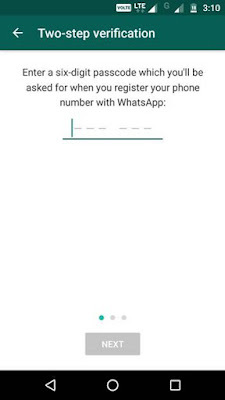 Also note that WhatsApp is not verifying the email address that you enter during the setup process. 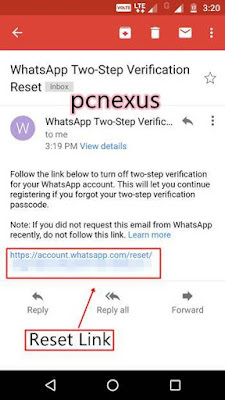 So, be careful while entering the email address because WhatsApp will directly send the two-step verification disabling link to the email address that you provided. 4. Will 2-step Verification Delete Your Chat Backups? Its a wise decision to have backup of your WhatsApp chat history. I suggest you to have offline and online backup of your chat history. You can save the chat history file on your phone's internal storage in the 'WhatsApp>Databases' folder. Also you can save the chat history to your Google Drive account. 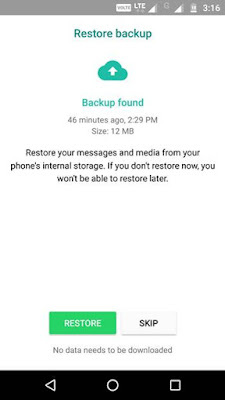 Having the Google Drive backup is the best option because it is available to restore your chat history anytime and it doesn't get deleted accidently. So as far as you have the chat history backup on Google Drive you won't face any issues while restoring your messages even when the two-step verification is enabled on your account. Go to 'Settings>Account>Two-step verification'. Here you will find options to disable, change email and passcode. See the image below. 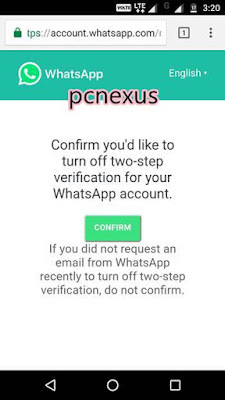 So, finally you now know everything about WhatsApp Two-step verification. 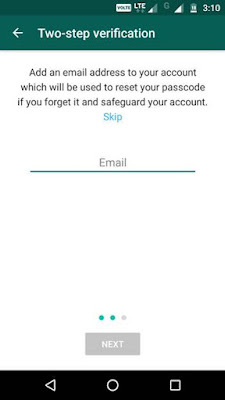 So lets see how you can enable this security feature on your account. Download and install this latest WhatsApp beta v2.16.349 APK. Open the app and go to 'Settings>Account>Two-step verification'. Here tap the 'ENABLE' button and enter a 6-digit passcode. Then enter the same passcode again for confirmation. Then add your email address and tap 'NEXT'. Then re-enter the email address and tap 'SAVE'. Now this security feature is enabled for your account. 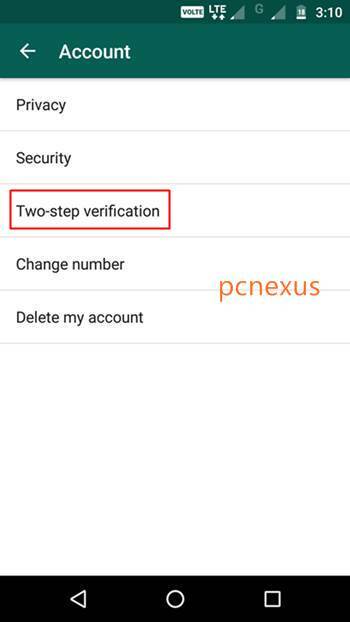 By going to 'Settings>Account>Two-step verification' you can disable it, change passcode or email address anytime. So this article explains everything that you need to know about the WhatsApp's two-step verification before applying it on your account. If you still have any questions then ask via comments and if you like the article then do take 2 minutes to share it.